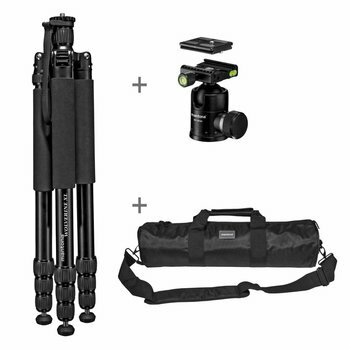 On long trips, every gram counts for a travel tripod! So, the light traveller is not just light – it’s ultra-light! 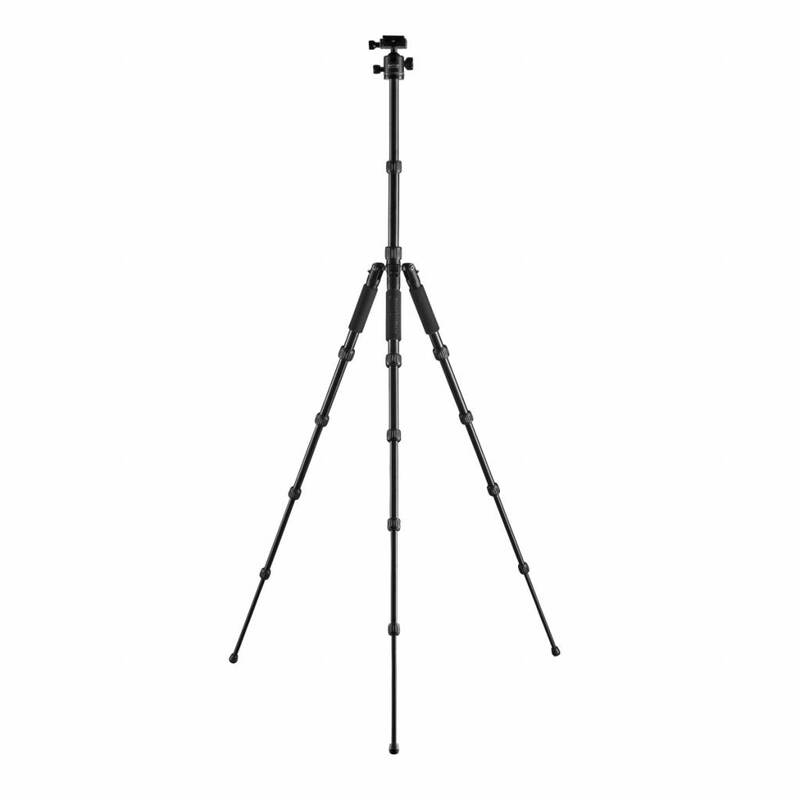 The light traveller tripod weighs just 865 g without the ball head. With the 245-g ball head, that gives an extremely low total weight of just 1,110 g.
This is possible thanks to the use of a light, yet very sturdy, aluminium alloy and to the use of a CNC technique. This guarantees sturdiness and precision with low weight. Whether in a bagpack, in an aeroplane, in the underground or in a car – ultra-compact is simply ultra-compact and yet again, each centimetre count – less is more! 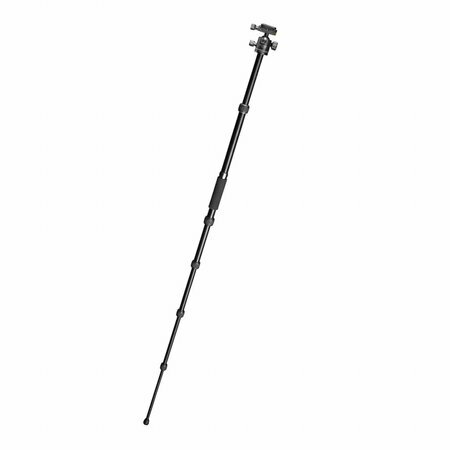 The light traveller comes with folded legs and a ball head, and measures just 30.5 cm when packed. 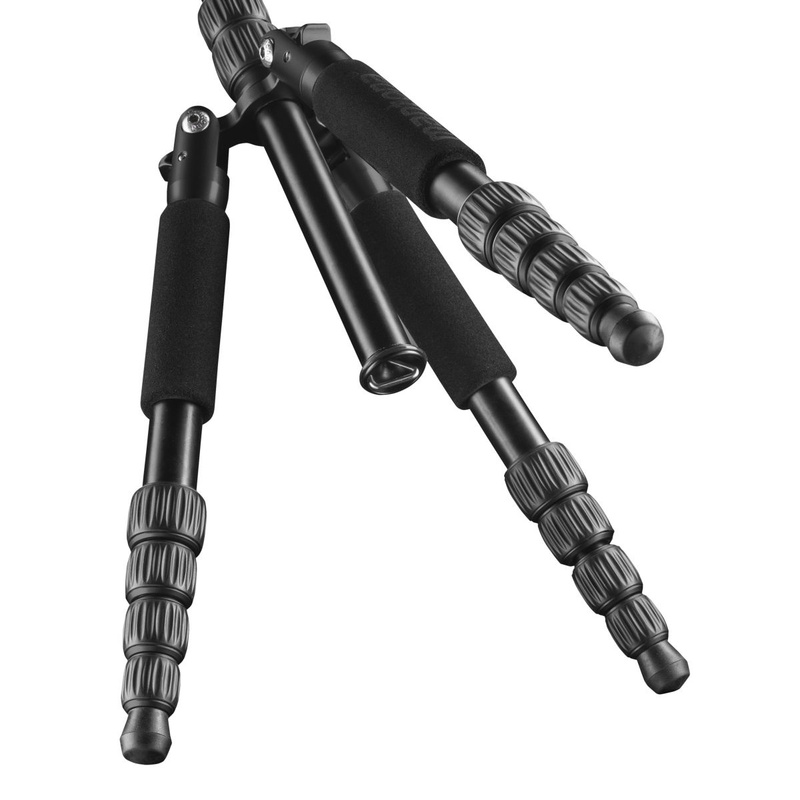 The clips of the tripod lock are ergonomically shaped and are very pleasant to use. 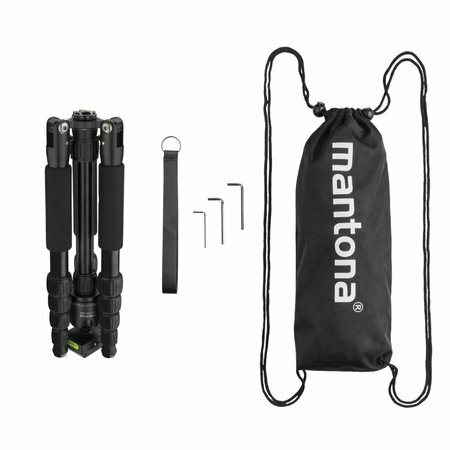 So the light traveller can be folded in a trice and stored away in the shoulder-carrier bag provided. The light traveller is attractive and made with loving attention to detail – wherever the gaze of the observer falls. Whether in classic black throughout or with an elegant combination of black and grey – the anodised surfaces of the light traveller are not just especially scratch-resistant, but a pleasure to the eye. With the light traveller, the outstanding features do not come at the expense of weight and dimensions. No! On the contrary – you are getting more for less! 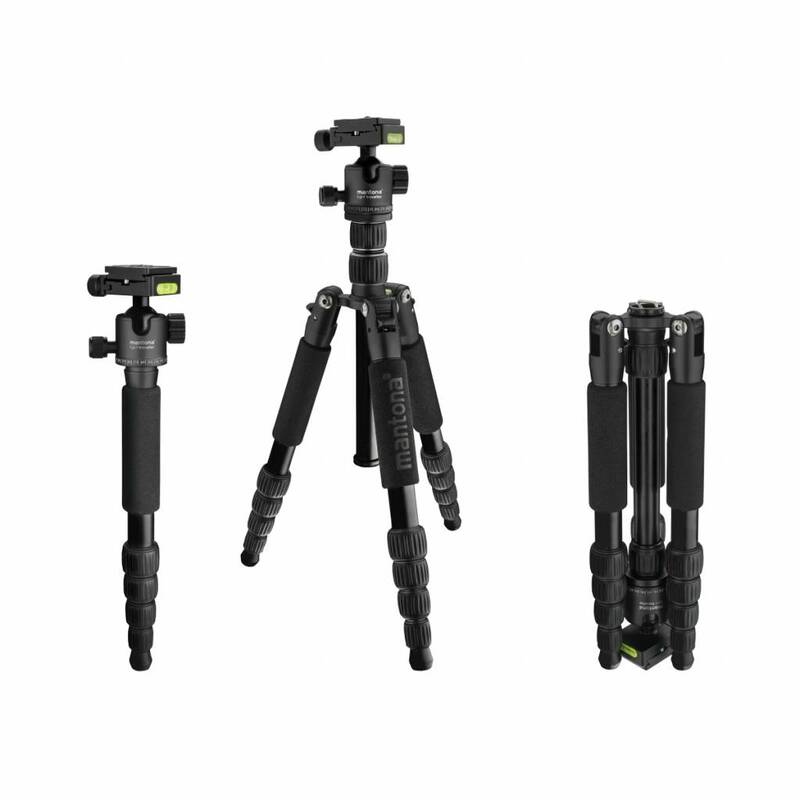 The light traveller can be converted into a monopod – which is not something that can be taken for granted with a light travel tripod. 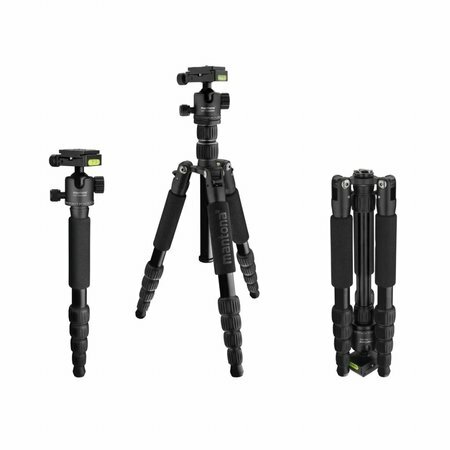 Without any tools, and within just a few seconds, you have a monopod that is up to 135 cm high. 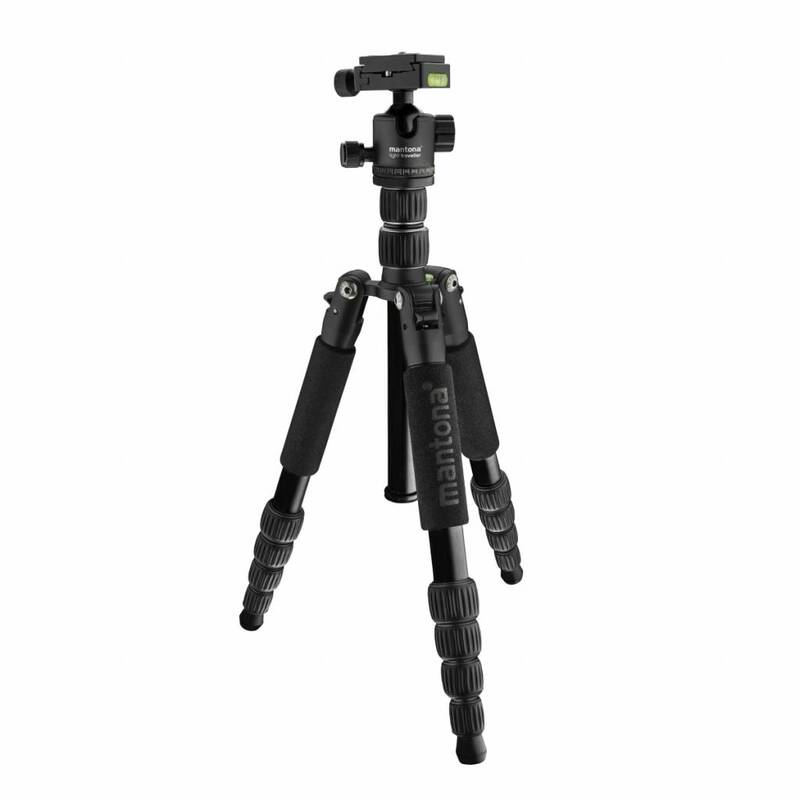 This is extremely practical if the surface is not suitable for the use of a tripod. 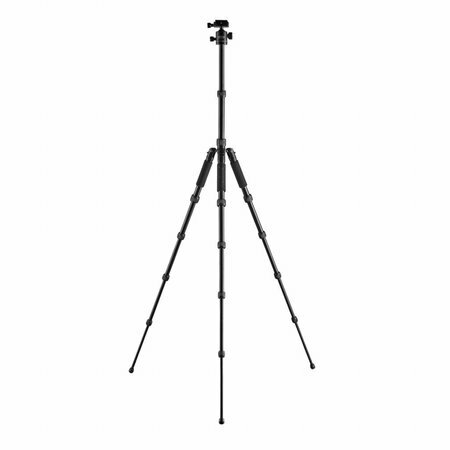 It’s not a problem with this tripod! 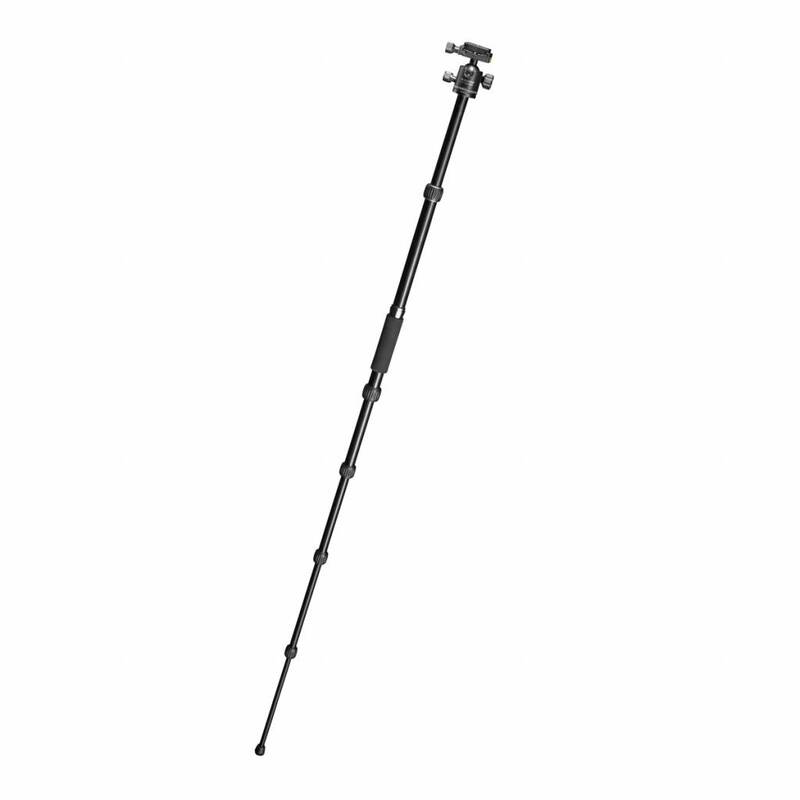 Despite its compact form, the light traveller offers a maximum working height of 131.5 cm. 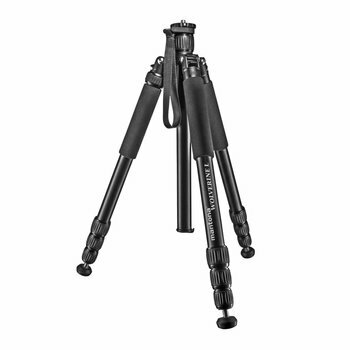 For macro shots, the tripod can be used in reverse position, making it easier to take photographs close to the ground. 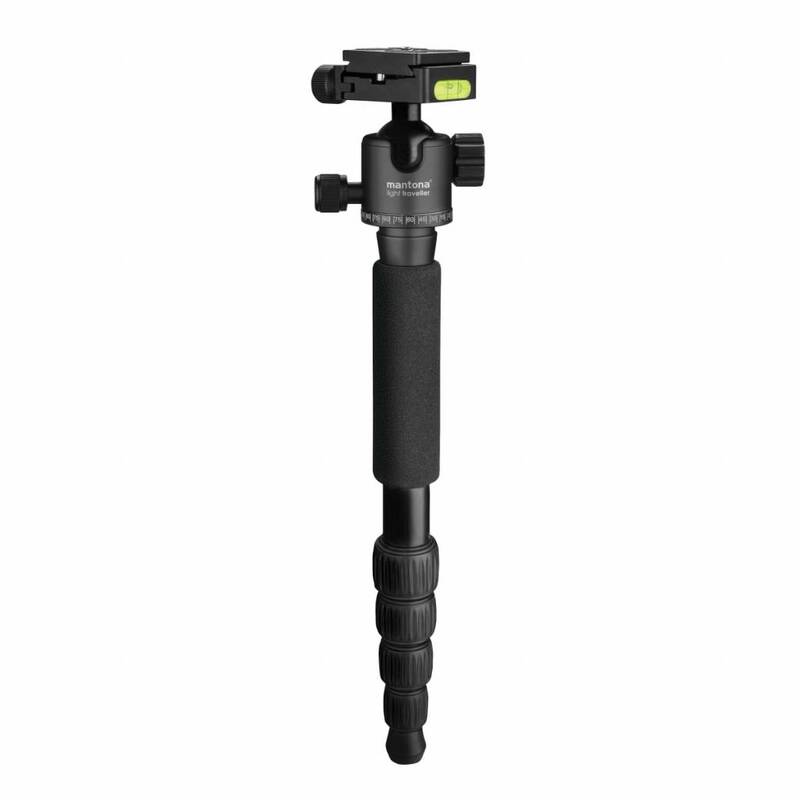 A spirit level on the tripod star makes it easier to orient the tripod and the three leg warmers and a weight hook for pleasant handling and stability even under difficult conditions. 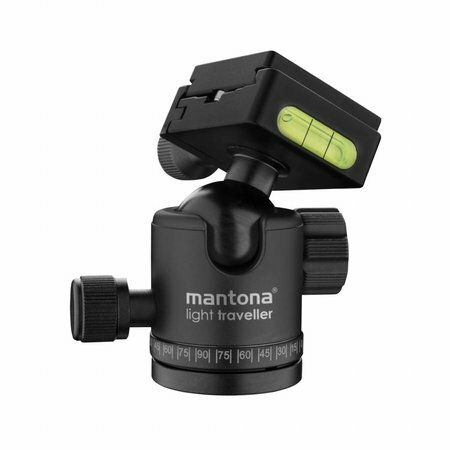 The aluminium panorama ball head of the Mantona light traveller is very light, weighting just 245 g. Despite its minimal weight, it offers a wide range of functions and a maximum weight bearing capacity of 5 kg. 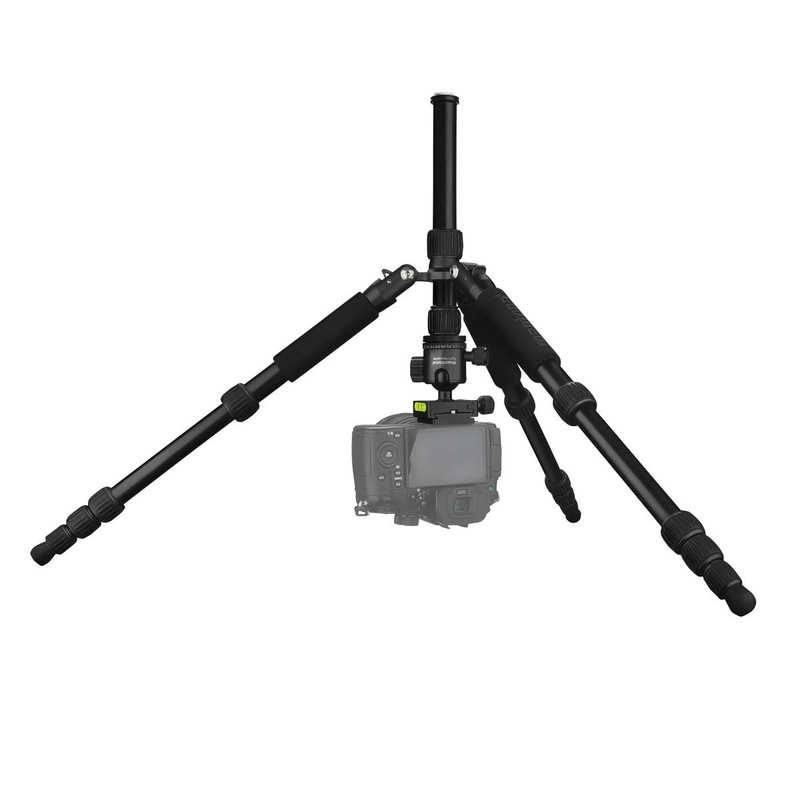 The ball head is Arca-Swiss compatible and the quick-release plate is fitted with fall protection and non-slip rubber pads. A bubble level and a dragon fly make it easier to adjust the fitted equipment. 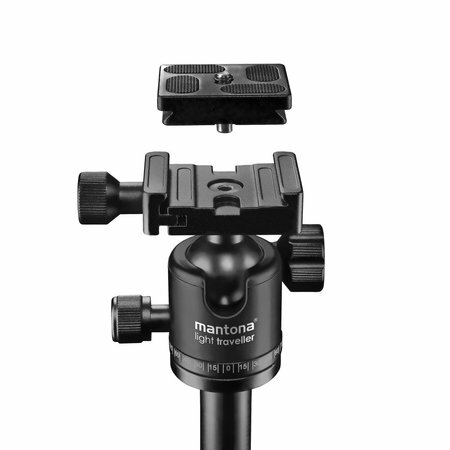 For smooth, controlled 360° panorama panning, a panorama scale has also been implemented as has a separate panorama locking head. All three operating buttons of the ball head are made from anodised aluminium, which means they're not only weight-optimised, but also very pleasant to use. The mantona light traveller tripod makes for a care-free companion and will be the “must-have” tripod you take on all your photo trips, big or small. Number of Gummed Leg Segments 3St.